Lord God, what would you like us to do? 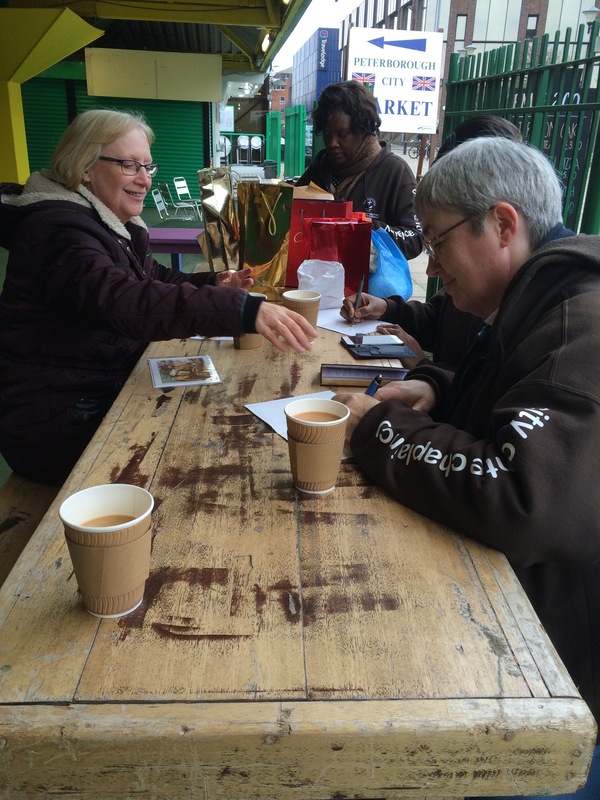 Last week we felt we needed to go to the Market in Peterborough and give gifts to those who work on the stalls. So, off we went, into a place we hadn’t been before as a team. First off we spent time walking around praying, sussing out what was on offer as well as getting a feel of what the market is like. Many of the stall holders spoke of the need for more business. Many of the units where empty. The lighting was quite bad too, giving it a feel of being quite a difficult place to enter in. The conversations and contact with stall holders was the opposite, such an easy place to connect with people and share faith as well as a beautiful opening and welcome. We wrote cards of encouragement as well as buying gifts of flowers, fruit and love hearts! We then went to find who we could give the gifts to and offer prayer as well. It was such a good thing to do. 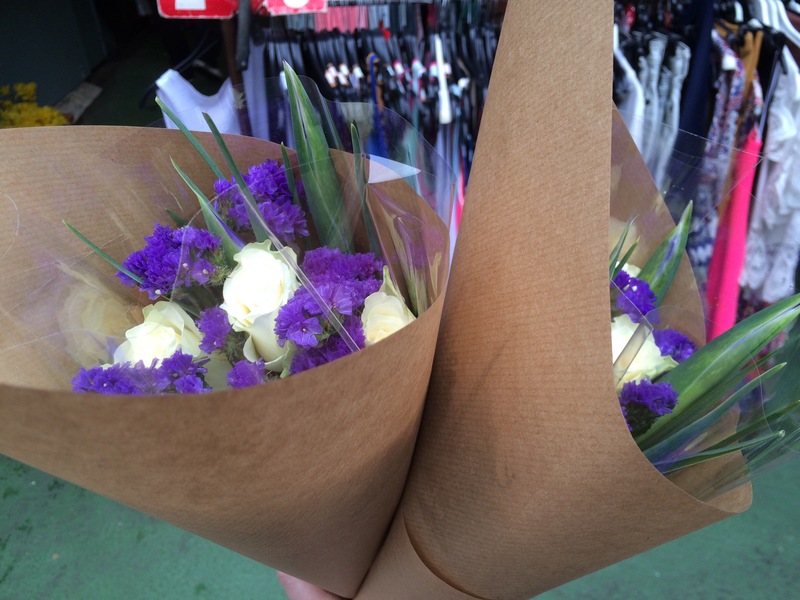 We also went to give these gorgeous bunches of flowers to people in the market and the response was awesome… Apart from one stall holder giving me a THANKYOU of a small wooden Budda! But the gesture was kind.